One of the things I like about creating this blog is helping the people around me to start an online business. This week, my Yoga teacher reaches out to me, wanting to learn how to create a Yoga website. Seeing that this is quite a popular niche, I am pretty sure it would benefit you too. Let’s find out what are the things that you need to get started. The studio that I frequent don’t have a website. Every time they organize a new class, they would print out flyers and distribute them around the neighborhood. In short – that’s traditional advertising and there’s no guarantee in the return of investment. However, when you have a website, you can do much more. Share your Yoga teaching with a wider audience. Create your own product – physical or digital – and sell them online. Multiply your income streams (who doesn’t want that). Have more time for yourself than chasing after all the crazy schedules. Now, there are many site builders out there and you have probably heard of the free ones. ‘Free’ isn’t entirely a bad thing. They could give you some idea what a website should look like, but they do come with limitations. If you are planning to monetize on the site, these limitations can cripple your business. Honestly, you don’t want that. My recommendation is to use WordPress because it allows you to customize the site, whichever way you want using different plugins and widgets. This software is well-known for producing good quality websites for companies big and small, so it will not fall short of your expectation. Okay, now let’s get to the gist of the topic. The first three steps are the basic stuff that you need to know. A domain name is basically the name of your website address. It usually comes with a suffix such as .com, .org and .net. These are custom names, so if someone already owns it, you CAN’T use it. The challenging part is that, a lot of ‘good’ Yoga domains have been taken – Yoga.com, BodyYoga.com, YogaPose.com – they are not available. So you might want to use longer/creative words such as ‘wannadoyoga’ or brandable names such as ‘cathysyoga’ instead. While there’s no need to have the Yoga word in there, it should at least contain words that reflect a Yoga niche. Here’s a good one. Read this page to learn more about choosing the right online business name. After purchasing a domain name, the next step is to connect it to a hosting company. These are the people who will store, maintain and do backups for your website on a regular basis. If you are running a business, you want to choose a reliable hosting service (don’t go for ‘Free’ or ‘Shared’ hosting) and this usually means paying a bit more than the average fee out there. SiteRubix is an example of a good quality hosting company (where you can also purchase domains) and you can find out more about their features in my personal review here. And also premium ones where you can purchase from reputable theme designers such as StudioPress. For beginners, I would recommend that you start with a free theme first and gradually upgrade when your content is more solid. Premium themes could cost between $50 to $150 so you want to make sure that you have that kind of budget to begin with. Often times, people build websites, but don’t know what to do with it. So, in the next two steps, we are going to dig into some content creation to help make your business come to live. When I said you can do a lot of things with a website to make money, I am not kidding. That’s because Yoga is such a hot topic on the Internet these days. Don’t believe me? Here’s a trend to prove just that. Teach online classes – Yes, some people do prefer to learn Yoga from videos – stay at home moms, working travelers, individuals with disease conditions, etc. Online classes can offer a lot of convenience for students to practice within their own comfortable space. If you are camera shy, you can also create audible Yoga lessons and lead classes through your voice. Publish several free media samples so that people can get to know your teaching style before they sign up for weekly, monthly classes or a membership plan. Compile an eBook – Ever wanted to write a book to teach people about Yoga? Now is the time. With an eBook, you can help students and train teachers to become better at their practice – whether they are at the beginner or the advanced stage. Again, offer a free download so that you can gather some emails for future promotions. Sell Yoga Shirts – A nice way to publicize your name is to have it printed on shirts and get people to wear them, but keeping stock items can be quite a hassle, isn’t it? Well, there’s no need for that if you are using Teespring. 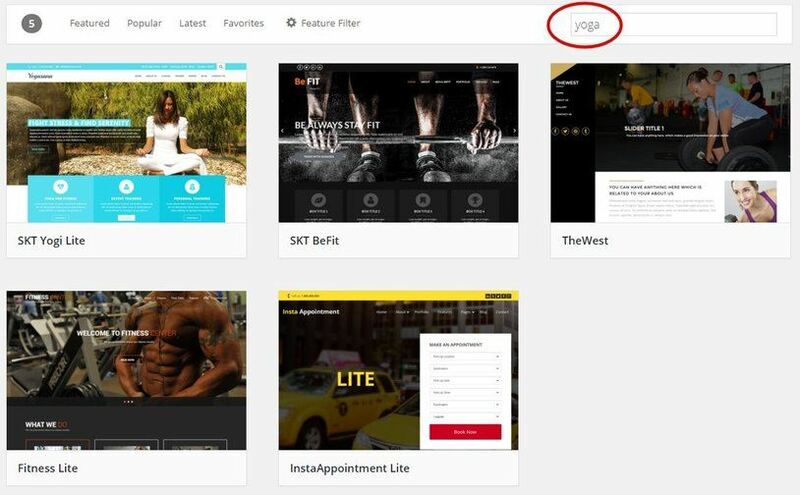 This tool allows you to submit your designs (don’t forget to include your business name), pick the type of apparels to print and sell them through your website. However, if you are really interested in the eCommerce side of things, then of course you can always set up an online store to sell customized Yoga wears and props. Recommend Affiliate Products – Probably one of the easiest ways to kick start an online business is through affiliate marketing. You don’t need to crack your head to come up with a product; you just need to recommend good products by other companies to the readers and earn a certain sales commission along the process. This doesn’t mean that you are selling yourself short. I am sure you have some Yoga brands that you really like – whether it is apparel or props – and people could benefit from your reviews before they buy these items online. Just type “Yoga affiliate programs” on Google Search to look for more. Content is important for two reasons; they help you rank on the search engines and engage with your readers. A blog is the most common format and to write one you’ll need to do some keyword research. Using Jaaxy, my favorite keyword tool, we know that this phrase is very popular (with > 6600 average searches/month), but we also discovered that there are 272 websites ranking for this term. That’s a tough competition to beat. Hence, it’s always better to find keywords with a lower QSR value such as this one. 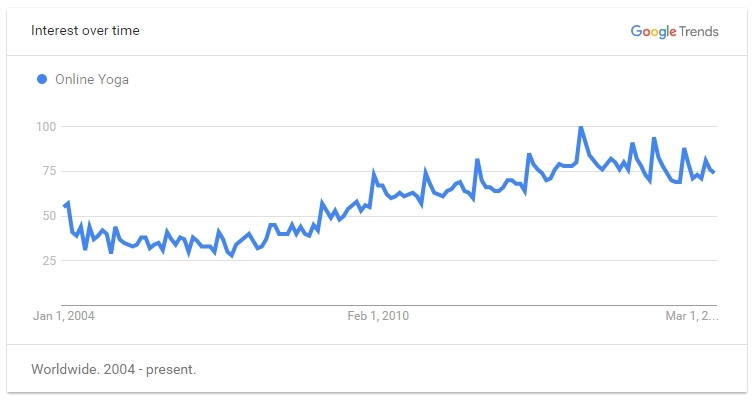 88 searches per month and only 26 websites ranking for that term. Now, isn’t that a less competitive term? Here are other long-tail low-competition keyphrases that I’ve come up for you using Jaaxy. For every content you create, you would drive more traffic to your site and get more people to buy your recommended products or services. That is, in essence, how you can create a successful Yoga online business. Certainly sounds more fun than just teaching regular classes, isn’t it? 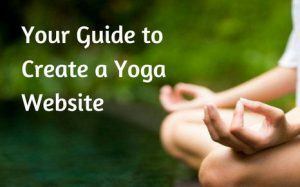 By creating a website and following the techniques that I’ve just explained, you can maximize the potential of your Yoga skills and knowledge while generating additional income beyond the studio. If you are looking for more resources and training on how to start an online business, connect with me on my recommended training platform and I’ll show you the way. Is It Possible to Make Money with Fitbit? Your article is so throughout it’s almost like a small case study on how you can build websites in the yoga niche and profit from it. I wonder though, for most of us who aren’t really an expert on anything, how do you recommend we start our business? How do we choose our niche and write about it? Thanks for sharing and I look forward to your reply! Hey Anh, if someone feels that he/she isn’t an expert in any field, I would suggest that they pick a subject that they want to know more about. In other words, pursue an interest, let your curiosity lead you and learn as much as you can. By the end of the day, you’ll have a set of skills and knowledge that 90% of the people don’t know about. That’s another way of finding a niche and creating a business opportunity out of it. Hope this helps. Absolutely fantastic article, kudos and karma for sharing it with us. Just PM’d this to a friend who is a recent and newly qualified instructor, who studied in India of all places..the birth place of Yoga! Hoping she becomes enlightened to the possibility of making a quality yoga blog and becoming an online yogapreneur! Hey, thanks for sharing. It’s been a while since I saw you on my blog. Hope all is well. An enlightening post, thank you. I always knew the yoga niche was popular, but I didn’t know the extend of its popularity. I wasn’t aware how good the keywords were, in my niche the competition is so high, no matter how long or intricate I make them. Hey Bonki, what niche are you involved in? Perhaps I can give you some help in brainstorming. This is a very easy to read and well written page. Truly if I had come across this before any others, it would inspire me to create my own page. Thank you for inspiring others! I totally agree that using the internet is a very excellent way to assist others in finding what they’re looking for, in this case yoga. I believe that you are doing a fantastic job in teaching others how to create and start their own business. What an informative post this is, outlining the most important components of how to become a Yogipreneur. Your reference to creating quality content and ensuring that any potential Yogipreneur has the right starting point is absolutely wonderful. And no explanation of how to setup a website would be complete without the simplistic approach you outline when trying to determine a domain name. Do you plan to demonstrate how a budding Yogipreneur can create and publish a video? I think this would be a good addition to a wonderful post about becoming a Yogipreneur. Thanks for the suggestion Steve. Video marketing is not something that I am familiar with yet, but I’ll see if I can come up with some resources for that topic in the future.